"Ezra had his heart to study the law of the Lord, and to do it, and to teach the statutes and ordinances in Israel." (Ezra 7:10; NRSV). This threefold characteristic is very significant. Firstly, he was a diligent student of God's law. Not content with superficial acquaintance, he sought out its meaning and its application. Secondly, he was resolved to be not a forgetful hearer but an obedient doer of God's Word. 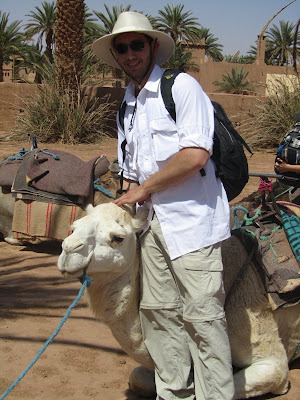 Thirdly, he went beyond personal study and observance to a ministry of teaching others. Moreover, on all three (to study, to do, to teach) he had set his heart. Sounds like discipleship to me!! (Mt. 28:19f). We have entered into the Season of Advent on Christian Calendar. This is the time of the year when the Church intentionally recalls that Jesus said he would return to judge the world with his righteousness - the parousia - the second advent. This season in the church year is also a time to prepare to celebrate the first advent of the Lord -- his birth which we remember on Christmas. The culture around us is already celebrating Christmas. We actually had houses in our neighborhood all decorated like Christmas before Thanksgiving. Even a local Christian radio station started playing Christmas music several days before Thanksgiving. When I received an email from a local bank on Thanksgiving Day wishing me a Merry Christmas, I promptly wrote back and reminded them that it was THANKSGIVING, not Christmas; that Thanksgiving is a day which Congress set aside as a national holiday to give thanks to Almighty God. This is one of my pet-peeves: Can't we at least celebrate Thanksgiving on Thanksgiving Day and then start celebrating Christmas? Do we really have to listen to Christmas Carols on the radio on Thanksgiving morning? Well... it's Advent. Maranatha! Come, Lord, Come! Here in Georgia, there is no bigger football game each year than the Georgia - Georgia Tech Game. I was privileged to be able to attend with my wife and a couple of friends. Wow! Non-stop excitement. Neither team could stop the other one. It was either a score or a fumble for most of the game. And of course, it came down to last minute of the game!! We are blessed to live in a country which by an act of Congress has set aside a national holiday calling for the people to give thanks to Almighty God. As I look back at this year, there is much I can give thanks for, but today I especially give thanks to God for sending His one and only Son into the world to live and die on a cross for my sins. Thanks be to God! He gives us the victory through our Lord Jesus Christ. 1 Corinthians 15:57. I was able to gather with family and celebrate with a wonderful meal. IN a time when so many are displaced and so many are hurt by our economic conditions, I am thankful we were able to share Thanksgiving today. God is good! 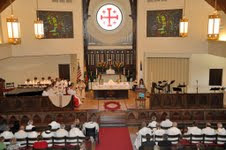 To hear my Thanksgiving Sermon at Holy Cross, see http://www.holycrosspodcasts.org/C1-media;show,52. We are blessed to have the written Word of God. So the contrast today is between true teachers, who submit to Scripture, and false teachers who reject or manipulate it. Here are five characteristics of false teachers, whom Jeremiah exposes. 1). They abuse their power. They are marked more by autocracy than by the gentleness of Christ. They "use their power unjustly" (v.10). 2) They live a lie, a double-life between their private and their public persona (vv. 13-14). 3) They strengthen the hands of evil-doers instead of calling them to repentance (vv.14, 22). 4) They fill people with false hopes, saying that no harm will come upon them (vv. 16-17). Perhaps the church's most urgent need today is pastors who faithfully expound and apply the Word of God and who practice what they preach. Last night I attended a screening of the new movie, The Voyage of the Dawn Trader. 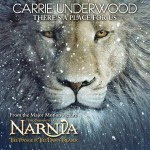 Being a C. S. Lewis admirer and a dedicated reader of The Chronicles of Narnia, I really enjoyed the movie. It strayed from the original story, but was good none-the-less. It is full of insightful character and value emphases based on Biblical principles. The Undragoning of Eustace gives tremendous insight to the Holy Spirit's Process of Sanctification. 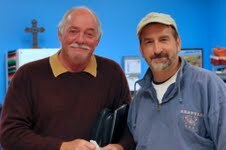 For a great presentation by Jim Burgen on "Undragoning Your Life", go to www.undragonyourlife.com. Pastors check out www.narniafaith.com. 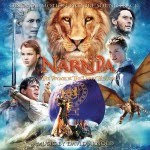 You'll find 20 different Narnia-themed sermon outlines and discussion guides from various Christian leaders like Luis Palau, Fuller Seminary, Group Publishing, and Young Life. You can even download clips of the film. As with most movies, however, it doesn't compare with C. S. Lewis' original written story. But it is well done. It hits theatres on December 10th. 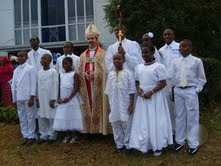 After a great morning at Holy Cross today, I went to All Saints Anglican Church of Atlanta on a bishop's visitation. I went to officially install the Rev. Dr. Chima Ekeke as rector of the parish. All Saints is one of the founding members of the Anglican Diocese of the South, and Dr. Ekeke was ordained to the priesthood on November 6. I also confirmed new members of the parish, installed new members in the Mother's Union, installed new members in the Women's Union, licensed new Lay Readers, and a Licensed a new Lay Catechist. It was a great time with these brothers and sisters in the Lord, and Allison and I were blessed to share in their special day. Christianity is essentially a revealed religion. We would know nothing about God if he had not made himself known. This is especially true of God's gracious character. He offers a free drink to the thirsty, a free place in the covenant to the nations, and a free pardon to the wicked. (v.1-7). Who could have invented such a gospel of grace? It is too good to be true!! It could be known only by divine revelation. Consider its logic. FIrstly, Yahweh's thoughts are inaccessible to us. They are as much higher than our thoughts than the heavens are higher than the earth. Our little minds cannot climb up into the infinite mind of God (vv.8-9). Secondly, Yahweh's lofty thoughts must come down to us as the rain and snow come down from heaven to earth (v.10). Thirdly, Yahweh's thoughts have in fact been brought within our reach because they have been put into words. Thus human speech is the model of divine revelation. It is by the words of our mouth that we communicate the thoughts of our minds. We cannot even read each other's minds unless we speak; how much less can we read God's mind unless he speaks? And God has spoken, his word has come down to us. Fourthly, Yahweh's word is powerful; it always achieves its purposes (vv.10-11). The last two verses of the chapter (vv.12-13) describe in vivid Hebrew poetic imagery the immense blessings enjoyed by the people of God who have received the word of God. They experience a new exodus (v.12), and they inherit a new promised land (v.13). No wonder we are filled with joy and gladness. See 1 Corinthians 2:6-10. On Sunday we left our church open for the whole afternoon for people to come and spend time with the Lord in prayer and worship. We used incense as the Hebrews would do, as symbolic of our prayers before the Lord -- "May my prayer be set before you like incense; may the lifting up of my hands be like the evening sacrifice" (Psalm 141:2). "Each one had a harp and they were holding golden bowls full of incense, which are the prayers of saints" (Revelation 5:8). This picture (taken by Chris Stallings) shows the incense floating on the air. May the Glory Cloud of the Lord fall on our church in such a way!!!! What a privilege to be able to ordain men to the ministry of the Gospel of Jesus Christ!!! On Saturday the Anglican Diocese of the South had its first Annual Synod which began with worship and the ordaining of four deacons and on priest. I am excited about these guys!! They are going to make a difference for the Lord in this world. If the church is degenerate and world, the pulpit is responsible for it. If our politics become so corrupt that the very foundations of our government is ready to fall away, the pulpit is responsible for it. Martin Luther..."My conscience is captive to the Word of God... to go against conscience is neither right nor safe. Here I stand. I can do no other. God help me." I had my first visitation today as an Anglican bishop at Christ Church Atlanta. While on our way to the church which is located in Buckhead, Allison and I saw a buck cross the road on Habersham Road. Having been around Buckhead all of my life, this was the first time I have ever seen a buck in Buckhead!! Christ Church is a delightful congregation which meets in the Atlanta International School (my old high school - North Fulton). 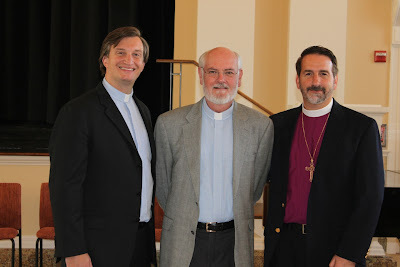 Alfred Sawyer is the rector and his Associate is David Charney. This congregation is serious about standing for the Gospel of Jesus Christ in a religious and secular culture which is constantly dismissing the need for people to come to Him. It was great to be in such a memorable place with a large number of people whom Allison and I have shared fellowship over the past thirty years. I preached on Philippians 3:17-21 a sermon entitled: "Living as We ARE, Not as We WERE." 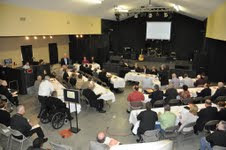 Administered Confirmation and shared at the Lord's Table. Great day of worship!! From James Allen -- "Good thoughts and actions never produce bad results; bad thoughts and actions can never produce good results. This is but saying that nothing can come from corn but corn, nothing from nettles but nettles." Been thinking about what I have been thinking about!! Do we really reap what we sow? Gal.6:6-8. Yes, we do. So what am I sowing in my mind? Am I constantly sowing what I hear in the news or from the gossip trail or from my pastoral counseling? If I do not sow the Word of God, the awareness of God's Presence, His Beauty in the creation all around me, and WHO the Scriptures say I am "in Christ," then the fruit of my life becomes more and more worldly and chaotic. But if I will sow God's "good" in my life, I benefit by reaping the fruit of a Spiritual life, and the peace which passes all understanding. Been meditating on Philippians 4:8 -- "whatever is true, whatever is noble, whatever is right, whatever is pure, whatever is lovely, whatever is admirable -- if anything is excellent or praiseworthy -- think on these things." 1. In spending this money, am I acting like I owned it, or am I acting like the Lord’s trustee? 2. What Scripture requires me to spend this money in this way? 3. Can I offer up this purchase as a sacrifice to the Lord? 4. Will God reward me for this expenditure at the resurrection of the just? and that all the gifts above-mentioned are either the same with, or infinitely inferior to, it. if you look for anything but more love, you are looking wide of the mark, you are getting out of the royal way. And when you are asking others, `Have you received this or that blessing? 'if you mean anything but more love, you mean wrong; you are leading them out of the way, and putting them upon a false scent. Settle it then in your heart, that from the moment God has saved you from all sin, you are to aim at nothing more, but more of that love described in the thirteenth of the Corinthians. [1 Cor. 13] You can go no higher than this, till you are carried into Abraham's bosom." Read my October Newspaper Column at http://www.awordfromthelord.org/page.asp?pg=October%202010. Forty-eight hours after I was consecrated as an Anglican bishop, I was eating dinner at Lambeth Palace sitting next to Jane Williams (ABC's wife) and Nicky Gombel (the founder of Alpha). I was there at the invitation of Graham Tomlin regarding St. Paul's Theological Centre of St. Mellitus College in London, an innovative approach to theological education. Being at the place of such history, especially for Anglican Christians, was very inspiring and uplifting. We ate dinner in the Palace dining room surrounded by paintings of former Archbishops of Canterbury, and the whole building dripped with Anglican history of which I have read about many times. 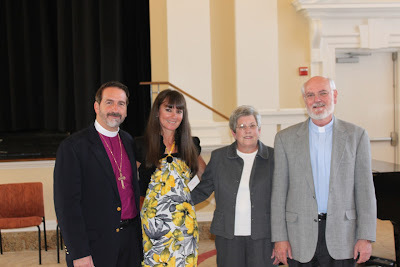 Pippa Gombel, Jane Williams (wife of ABC), me, Rev. 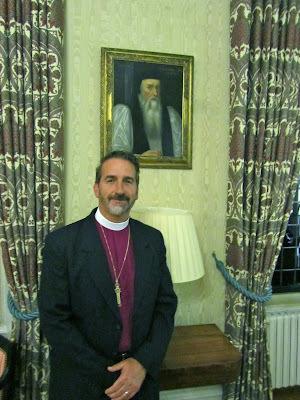 Nicky Gombel in the historic dining room in Lambeth Palace. Notice the painting of ABC's from the past in the background. St. Paul's Theological Centre offers a solid theological education with ministry preparation and training which is based in the local church. Rather than sending a person off to an isolated location, teaching is given in a church setting in amidst of a faith community. The curriculum calls for the person to be in school 1/2 time and serve in a church the other half. 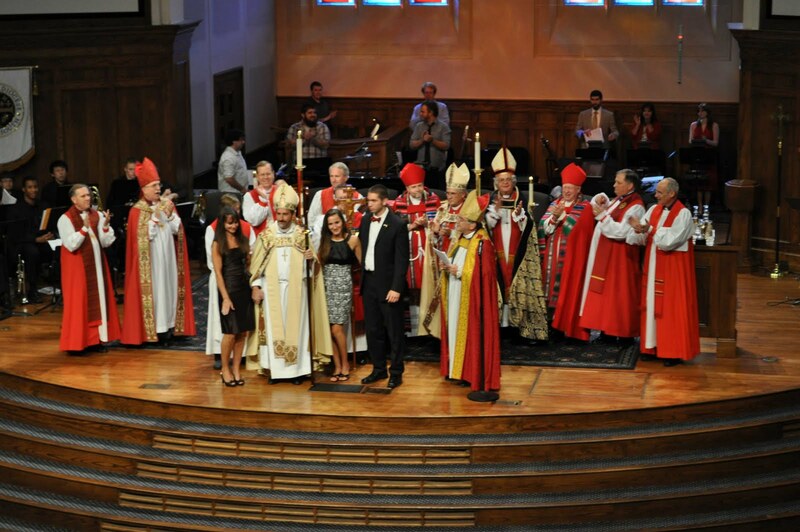 This offers much potential for training for the pastorate and for lay ministry for the new Anglican movement in the U.S. As we are attempt to share Jesus Christ with those who do not know Him and plant new churches in communities throughout the land, this program is a possible equipping tool which can be easily implemented. This was my first time to London. I look forward to going back with my family and visiting the places where so many incredible acts of Christian faith, charity, vision, and sacrifice occurred. Wow! I don't know how to describe the past 48 hours. 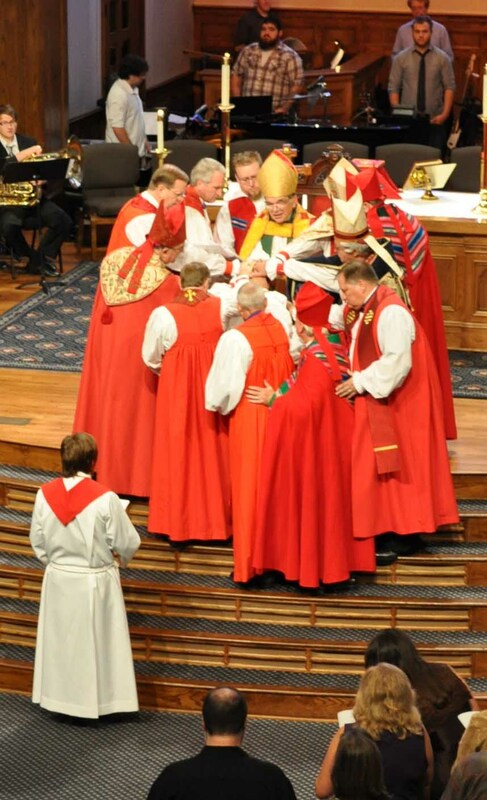 Being ordained and consecrated a bishop was an incredibly humbling, awe-inspiring, and meaningful experience with the Lord and the people of God. I am really at a loss for words at the moment as it will take me a while to be able to put into words what the Lord is doing. 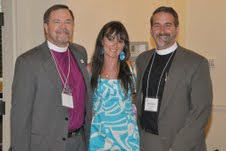 Being able to be in the presence of the godly men of the Lord who are serving as bishops was such a privilege. The outpouring of love and encouragement has been most inspiring. 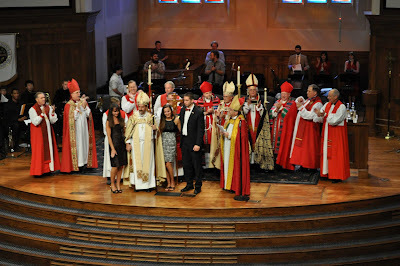 And today we confirmed and received over 40 new members in the church! Blessed be the Name of the Lord. May Jesus be praised and honored! The service was incredible (should be able to watched on anglican.tv). Anglican Diocese of the South. You can watch on Anglican.tv. 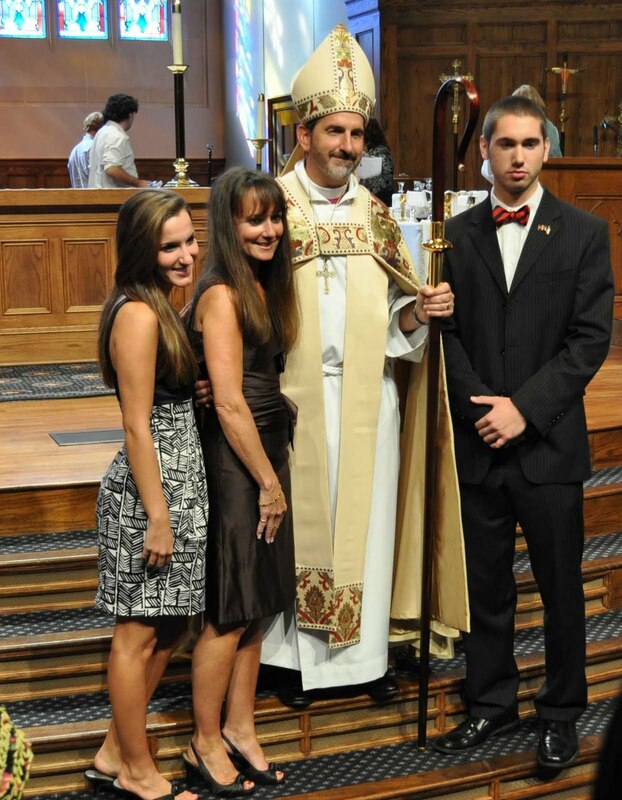 You can now view my September column entitled, "What is a Bishop Anyway?" at http://awordfromthelord.org/page.asp?pg=September%202010. Luke 15:1-10 illustrates God perspective toward those who stray from His ways. I am constantly overwhelmed with His seeking Grace -- how He pursues us and comes after us -- how He desires fellowship with us --- how He feels toward one person who turns back to Him. This morning I had the privilege of preaching on the The Shepherd's Heart to our congregation at Holy Cross. What a privilege to be able to tell about Jesus Christ and His Heart. 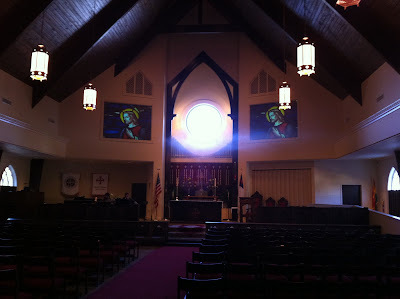 You can check out the sermon at http://www.holycrosspodcasts.org/C1-media;show,36. John Stott commenting on Genesis 3:5,6 -- "Sin is an unwillingness to let God be God, a refusal to acknowledge his 'otherness' and our continuing dependence on him. Sin is a revolt against God's unique authority; it is an attempt at self-deification." We preachers must teach prayer; if we do not, we are unfaithful ministers of the New Testament. But we must do more than teach prayer; we must teach it by practicing it. A praying preacher is never envious of another man whose pulpit mastery exceeds his own. He glories that another can explain the way of the Lord more perfectly and glue the ears of a shifty congregation to the Word of the Living God. There cannot be two operators of the Christian's life. We are either Spirit led in everything or self led. We may call prayerlessness neglect, or lack of spiritual appetite, or loss of vision. But that which matters is what God calls it. In I Samuel 12:23 God calls prayerlessness sin: God forbid that I should sin against the Lord in ceasing to pray for you." Good preaching on ground ill-prepared by prayer is an abortive thing. The man behind the pulpit must have a prayer life. "A holy man, " Robert Murray McCheyne used to say, "is a fearful weapon in the hands of a holy God." Prayer links man's impotence to God's omnipotence. Prayer swings us out of the natural into the supernatural. Prayer turns our stony words into bread because He who turned water into wine still longs through the preaching of the Word to impart nourishment to heaven's pilgrims. 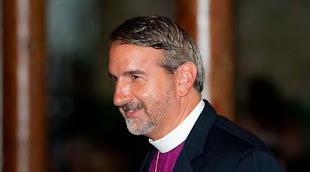 Having been elected a bishop by the College of Bishops of the Anglican Church in North America, Archbishop Robert Duncan has called for an Ordination and Consecration. 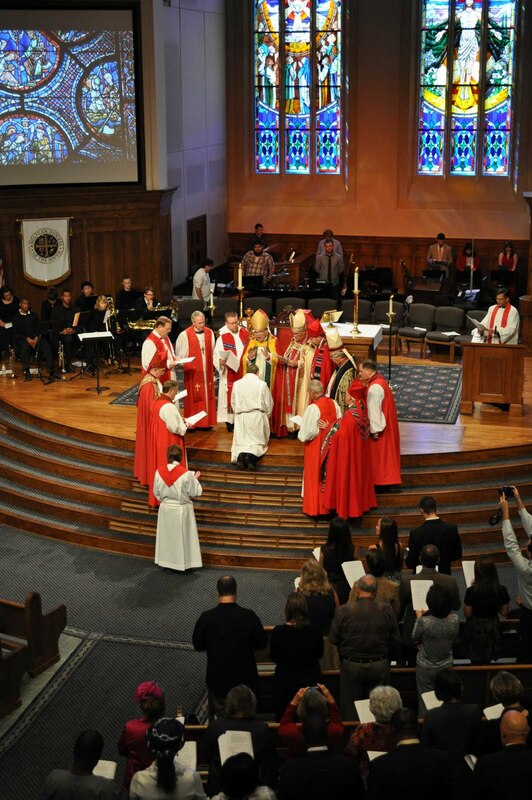 I will consecrated an Anglican Bishop to serve the Anglican Diocese of the South on October 9th at 1:00. The service will be held at the Church of the Apostles on Northside Parkway in Atlanta. Just finished reading Son of Hamas by Mosab Yousef. Literally could not put the book down. Stayed up most of the night. Mosab was the son of the major leader in Hamas. 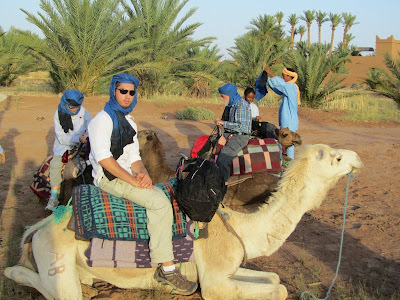 He shares his life journey from being a Muslim in Israel, a leader in the organization of Hamas, and becoming a follower of Jesus. It is absolutely incredible what this man went through and how God brought him through to real faith. O my Savior, I say to Thee, again with more insistence than ever: Teach me to pray; implant in me all the dispositions needful for prayer of the Holy Spirit. Make me humble, simple and locile; may I do all that is in my power to become so. Of what is my prayer if the Holy Spirit does not pray with me? Come Holy Spirit, come to dwell and work within me! Take possession of my understanding and my will; govern my actions not only at the moment of prayer but every moment. I cannot glorify God nor sanctify myself save by Thee. 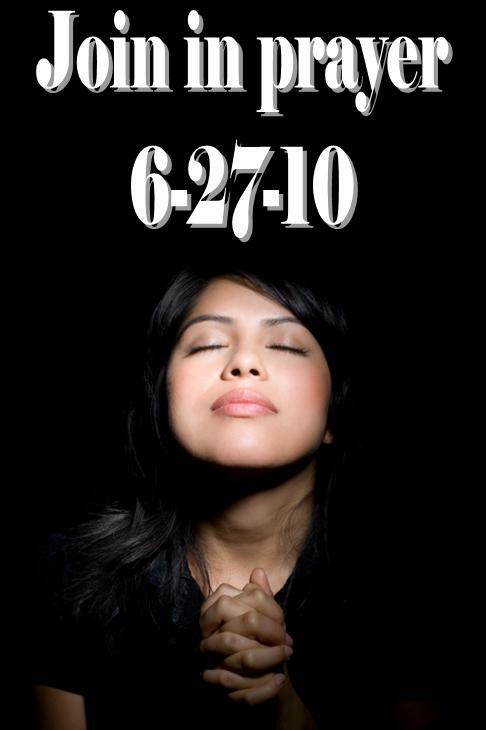 Received this from a friend -- Let's join them in Prayer on June 27th! Historically in America, whenever there has been a crisis, our civic leaders have called our cities, states, and even our nation to prayer, asking for God's help and guidance. They understood that help would come only through calling out for God's intervention. Today, the Gulf Coast States face a crisis with the oil spill that has threatened health, homes, and jobs, in addition to a number of other problems - and there doesn't seem to be a successful solution close at hand. So the elected leaders of the Gulf Coast States - Texas, Louisiana, Alabama, Mississippi and Florida - are calling for a day of prayer in their states this coming Sunday, June 27. We are including links to their prayer proclamations below and we encourage you to print them off and take them to church with you this Sunday, encouraging your congregation, friends and family to join with others in this critical time of prayer. Even if you are not in one of the states along the Gulf, we're urging everyone across the nation to join with these states, asking for God's hand to be on all the decision-makers and lawmakers, that He would give them discernment and guidance, and that a solution would be forthcoming. I John 5:14-15 says, "Now this is the confidence that we have in Him, that if we ask anything according to His will, He hears us. And if we know that He hears us, whatever we ask, we know that we have the petitions that we have asked of Him." Please join with these states in petitioning God for a quick work in the Gulf Coast Region! 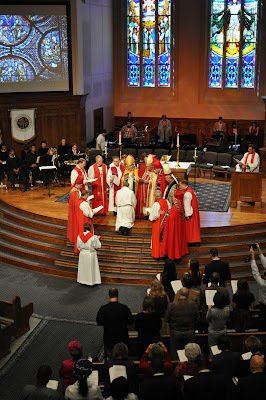 This past week I had the privilege of participating in the Provincial Council and College of Bishops meeting of the Anglican Church in North America. 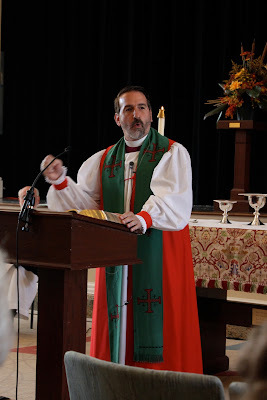 Big on the agenda for me was two events -- my being elected the first bishop of Anglican Diocese of the South and the privilege of being able to teach the College of Bishops Bible Study. On Memorial Day our country gives thanks to God, and honors the men and women our nation who throughout the years gave of their lives so we could have the freedoms and liberties we now enjoy. Sadly most of us take for granted the incredible sacrifice and dedication that so many individuals willingly gave in the horrors and tumult of war and battle. This past week I had the privilege of traveling with my wife to Washington D.C. and participating in the graveside funeral service of her uncle, Lt. Col. Allan William Clarke, at Arlington National Cemetery. He was 90 years old and died earlier this year in Naples, Florida. The service was a sober reminder of the preciousness of life, the blessings of our country, and the honor and dedication of the men and women who wear the uniform of our nation. These pictures are from the service at Arlington. I am walking in the Procession with an incredible and dedicated servant of the Lord, Chaplain Fernadez, who presided at the service. My son, James, just finished his junior year at the University of Georgia. He is currently on a nine-week study trip in Morocco. He is there studying Arabic. Check out his site at www.jameshbeach.com. My friend and colleague in ministry, Dr. Michael Youssef, Rector of the Church of the Apostles in Atlanta, has issued a call for 100k Christians across America to covenant with God to pray daily for a spiritual awakening in our country from July 4 (Independence Day) to November 2 (Election Day). I am joining him in this cause and invite you to do the same. Holy Cross will offer special days of prayer, fasting, and thanksgiving on behalf of the work of the Lord in and though our country. I hope you will pour out your heart before our Lord in prayer and supplication on behalf of our country. As important as elections, laws, jobs, balanced budgets and public policy are, the root of our nation’s problems is our turning away from the Lord. Only a national repentance and revival will stop the flow of evil and destruction flowing through our land. Christians of all stripes must humble ourselves, confess and turn from our sins, and call out for God on behalf of our family, friends, neighbors, and nation. 2 Chronicles 7:14 must come alive in our land! Together we can unite with the heart of God. For more information, click on God Save America. Winning is not a some time thing; it is an all the time thing. You don't win once in a while; you don't do things right once in a while; you do them right all the time. The quality of a person's life is in direct proportion to their commitment to excellence, regardless of their chosen field or endeavor. Once a man has made a commitment to a way of life, he puts the greatest strength behind him. It is something we call heart power. Once a man has made this commitment, nothing will stop him short of success. It's not whether you get knocked down; it is whether you get up. Once you have established the goals you want and the price you are willing to pay, you can ignore the minor hurts, the opponents pressure and the temporary pressure. Winning is not everything --- but making the effort to win is. They call it coaching but it is teaching. You do not just tell them... you show them the reasons. Teams do not go physically flat; they go mentally stale. Success is like anything worthwhile. It has a price. You have to pay the price to win and you have to pay the price to get to point where success is possible. Most important, you must pay the price to stay there. If you aren't fired with enthusiasm, you'll be fired with enthusiasm. For more on Vince Lombardi, read his book edited by his son, Vince Lombardi, Jr., "What It Takes To BE Number One." Inspiring and easy read. 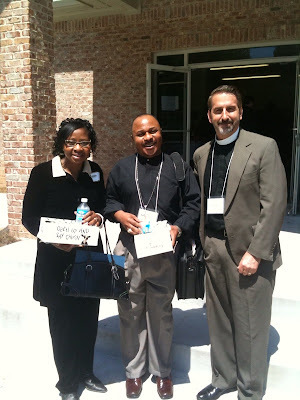 Chima Ekeke and his wife Nena with me at the Ignaural Synod of the Anglican Diocese of the South. Chima is a transitional deacon who is leading All Saints' Anglican Church in Atlanta. The Synod was the first gathering of the proposed new diocese. "The actuality of the resurrection of Jesus from the dead, and his subsequent ascension and ministry at the right hand of the Father and through the Holy Spirit, make Christian faith and ministry possible." "Ministry in the continuing mood of Holy Saturday will sooner or later leave us burned out, dispirited and depressed for this reason: it is not faithful to the reality that is at the core of faith and ministry. That core: Jesus lives." From John Stott --- As Tertullian wrote in his Apology: "Kill us, torture us, condemn us, grind us to dust... the more you mow us down, the more we grow; the seed is the blood of Christians." Blessed is the man who does not walk in the counsel of the ungodly, nor stand in the way of sinners, nor sit in the seat of scoffers. But his delight is in the law of the LORD, and on his law he meditates day and night. And he will be like a tree planted by streams of water, which yields fruit in season and whose leaf does not wither. Whatever he does prospers. Not so the wicked! They are like chaff that the wind blows away. Therefore the wicked will not stand in the judgement, nor sinners in the assembly of the righteous. This past weekend we hosted the Inaugural Diocesan Synod for the newly forming Anglican Diocese of the South. We were able to ratify our proposed Constitution and Canons and elect our nominee for Bishop of the new diocese. A bishop is called by God and the Church to be a shepherd who feeds the flock entrusted to his care. 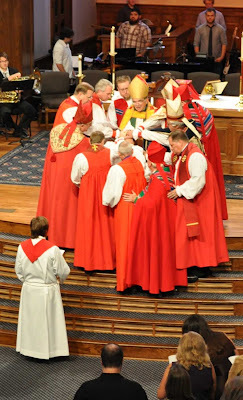 A bishop is an overseer of the flock and as such is called to propagate, to teach, and to uphold and defend the Faith and Order of the Church, willingly as God wants him to -- not greedy for money, but eager to serve; not lording it over those entrusted to his care, but being a wholesome example to the entire flock of Christ. 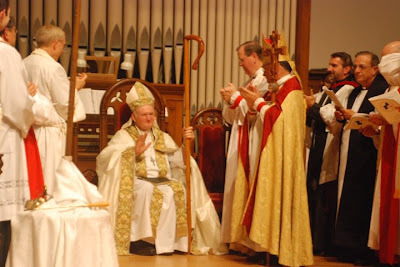 By the tradition of Christ's One, Holy, Catholic, and Apostolic Church, bishops are consecrated for the whole Church and successors of the Apostles thought the grace of the Holy Spirit given to them. They are chief missionaries and chief pastors, guardians, and teachers of the doctrine, and administrators of godly discipline and governance. For me this is a walk of faith as I will continue to serve as the Rector and Pastor of Holy Cross, Loganville. My life verse again speaks to me: "Trust in the Lord with all your heart and lean not upon your own understanding; in all your ways acknowledge Him, and he will make your paths straight" (Proverbs 3:5,6).